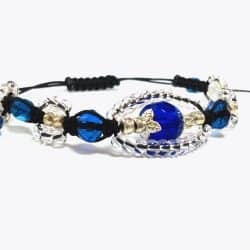 The “Victorian Retro Braided Bracelet” is an Art Filled Soul exclusive one of a kind handmade beaded bracelet. 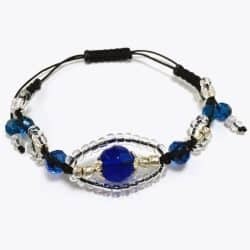 It is made in our Seattle studio and features beautiful blue and clear faceted and round glass beads with a hint of silver tones. 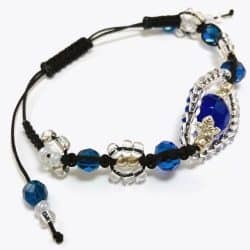 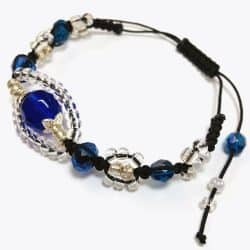 This beaded bracelet makes a great gift for friends or family.